A Malay twist to the classic Caesar Cardini salad. Take the basics and make it your own. That's what we have done with this classic. Boil eggs – cool and peel. Lightly pan fry prosciutto and set aside. 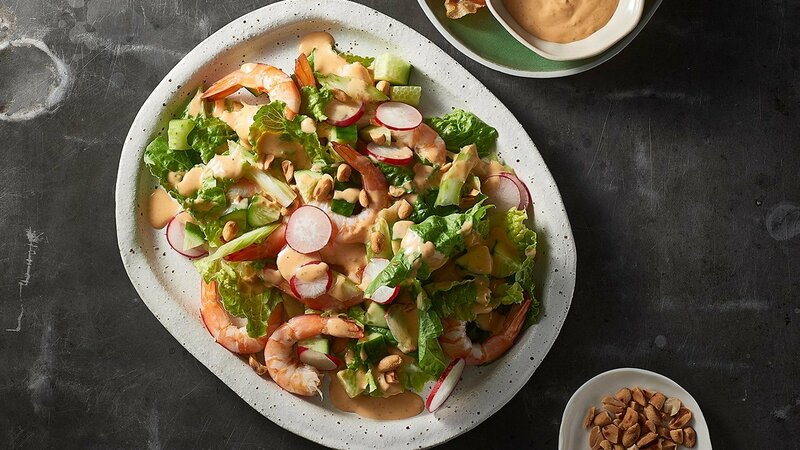 Combine all ingredients and pour over dressing.